Kafka is a distributed publish-subscribe messaging system that is designed to be fast, scalable and durable. It was developed by LinkedIn and opensourced in the year 2011. It makes an extremely desirable option for data integration with the increasing complexity in real time data processing challenges. It is great solution for applications that require large scale message processing. Consumer – which consumes messages from kafka. Kafka saves messages in a disk and allows subscribers to read from it. Communication between producers, kafka cluster and consumers takes place with TCP protocol. All the published messages will be retained for a configurable period of time. 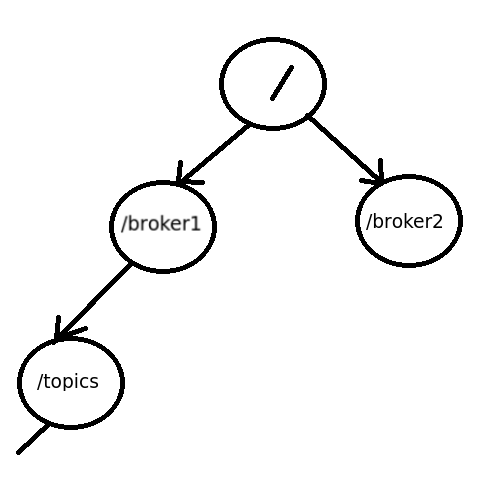 Each kakfa broker may contain multiple topics into which producers publish messages. Each topic is broken into one or more ordered partitions. Partitions are replicated across multiple servers for fault tolerance. Each partition has one Leader server and zero or more follower servers depending upon the replication factor of partition. 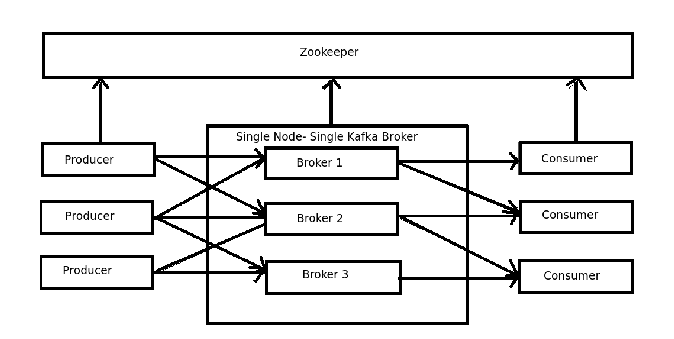 When a publisher publishes to a Kafka cluster, it queries which partitions exist for that topic and which brokers are responsible for each partition. Publishers sends messages to the broker responsible for that partition (using some hashing algorithm). Consumers keep track on what they consume (partition id) and store in Zookeeper. In case of consumer failure, a new process can start from the last saved point. Each consumer in the group get assigned a set of partitions to consume from. Producers can attach key with messages, in which all messages with same key goes to same partition. When consuming from a topic, it is possible to configure a consumer group with multiple consumers. Each consumer in a consumer group will read messages from a unique subset of partitions in each topic they subscribe to, so each message is delivered to one consumer in the group, and all messages with the same key arrive at the same consumer. It provides access to clients in a tree like structure. 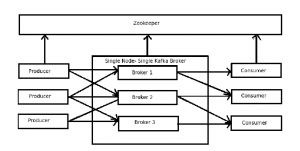 Kafka uses ZooKeeper for storing configurations and use them across the cluster in a distributed fashion. It maintains information like topics under a broker, offset of consumers. This will create a topic with specified name and will be replicated in to brokers based on replication factor and topic will be partitioned based on partition number. Replication factor should not be greater than no. of brokers available. Repeat these steps for all property files you have created with different brokerId, port. KAFKA program in java includes producer class and consumer class. Producer class is used to create message and specify the topic name with optional partition. 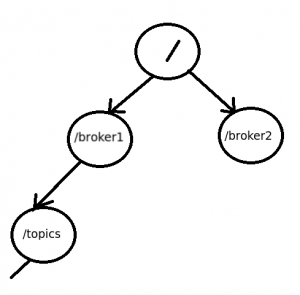 We need to define properties for producer to find brokers, serialize messages and sends it to the partitions it wants. before publishing data to brokers, it goes to partition class which is mentioned in the properties and select the partition to which data has to be published. In our above example, id is not passed, so partition selection would be done randomly. properties.put("autocommit.interval.ms", "1000"); //how often updates are written to ZooKeeper. Kafka is a distributed commit log service that functions much like a publish/subscribe messaging system, but with better throughput, built-in partitioning, replication, and fault tolerance.